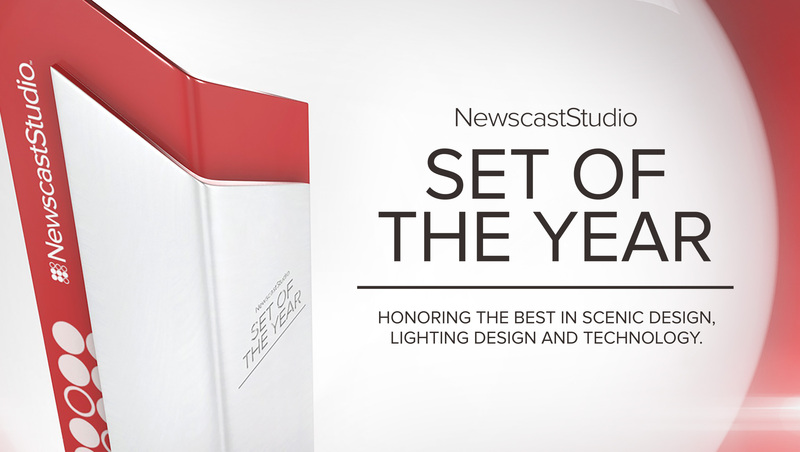 NewscastStudio’s annual Set of the Year competition has wrapped up and, with the votes counted, the full slate of winners has officially been released. 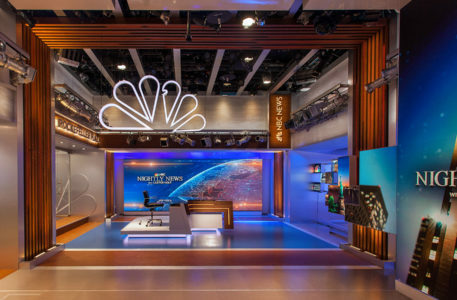 This year’s contest, the ninth time the competition has been held, attracted a record number of entries that included designs from around the world, including leading broadcasters in the United States, Europe and China. Entries ranged styles and visions for the future of broadcast design, with a jury of 15 judging the entrants. In keeping with industry trends this year’s awards program also added a new category for studio technology and video wall display usage. Winners in each category were determined by the highest total point value from the panel of judges based on overall visual aesthetics, flexibility of the design, use of technology and creative use of perceived budget. Honorable mentions scored within 10 percent of the top finisher in each category. 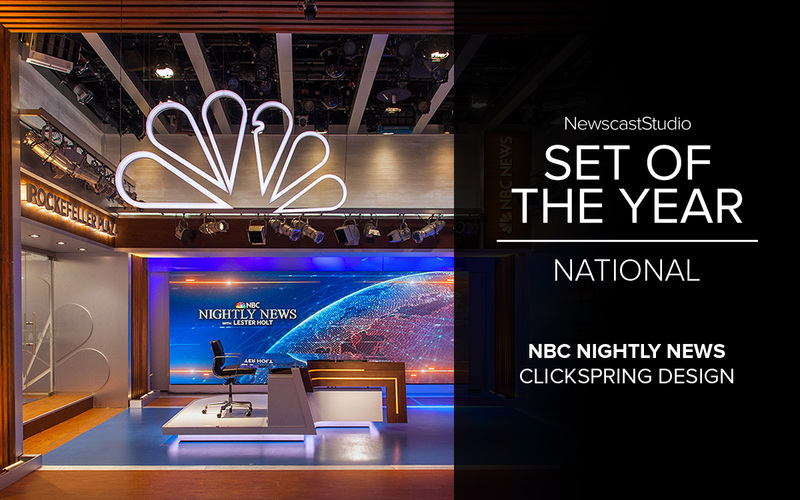 Clickspring Design’s “NBC Nightly News” studio won the top honor in the national set design category. 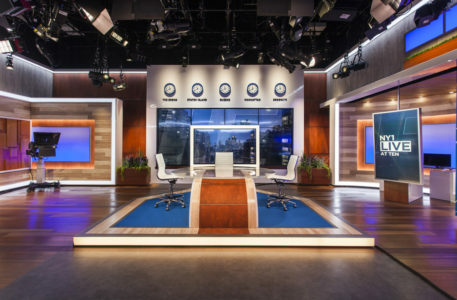 This studio space, located on the third floor of 30 Rockefeller Center, combines a variety of video wall and panel configurations with rich wood tones, backlit surfaces and integration with the adjacent work area. 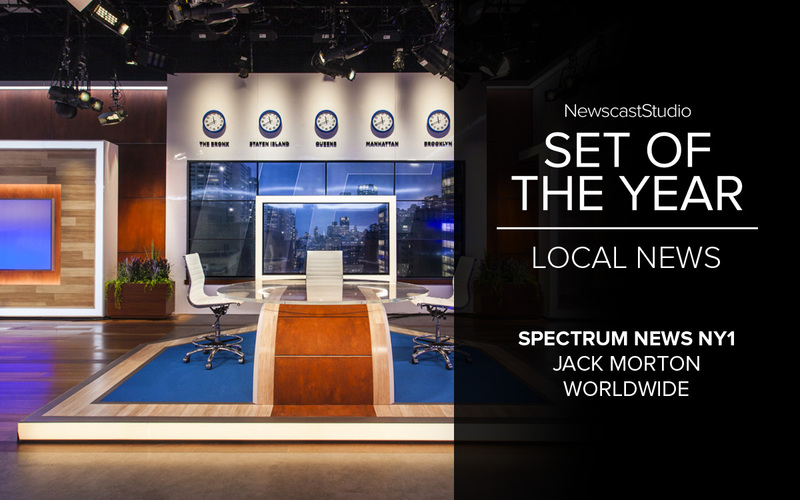 Jack Morton Worldwide’s design for Spectrum News NY1 was awarded the top honor in the Local News category by our judges. This project, which includes mutliple studios, works to capture the five boroughs of NYC in unique ways. 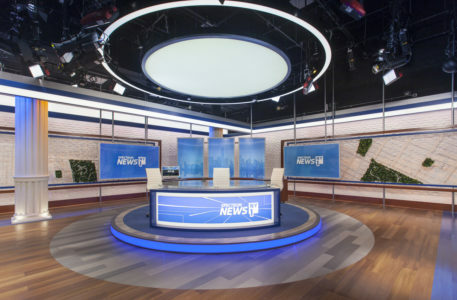 Honorable Mentions: WJAX from Devlin Design Group, WGN from Broadcast Design International, KSDK from Jack Morton Worlwide and WCIU’s “The Jam” from FX Design Group.